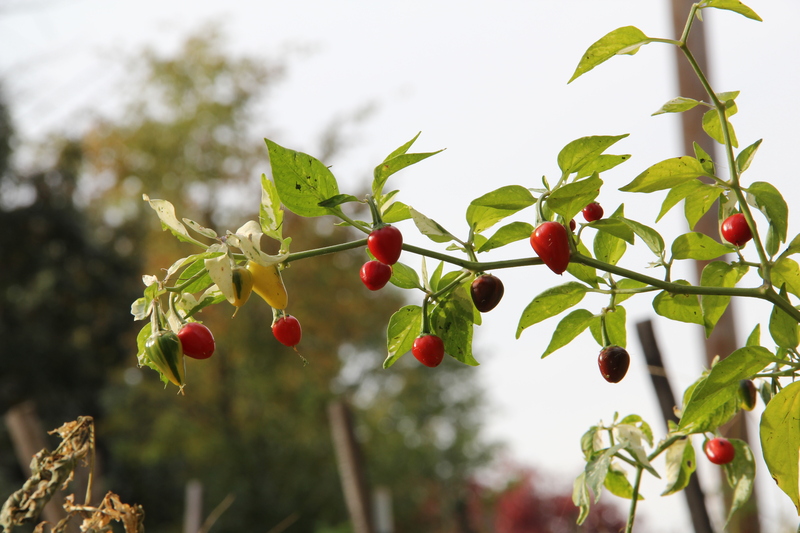 It was my great pleasure to receive an email from Denzel Mitchell saying how he really admired my work and how it inspired him to grow the Maryland fish pepper. Denzel’s long labored efforts at making an organic-trending, sustainable, local source for traditional and heirloom vegetables, fruits, and honey has taken off in Baltimore, leading to a friendship and business partnership with one of the city’s culinary luminaries, Woodberry Kitchen’s owner Spike Gjerde. Five Seeds sells out of its produce and honey at farmer’s markets and has a handy set of customers across the city’s restaurant scene. 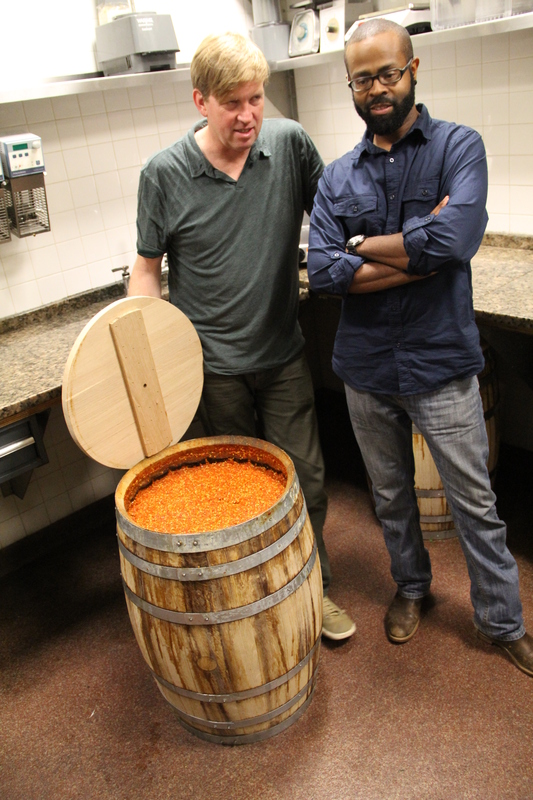 I had the opportunity to visit Denzel in Baltimore and was able to interview him about his fascinating piece of the art of making local food exceptional. All pictures courtesy Wyndello Studios. 1. Tell us a bit about your earliest experiences with gardening? I grew up gardening. My mother loves plants, her favorite being strawberry plants, she has pictures and trinkets of strawberries and strawberry plants all over the house. She kept alot of houseplants; we had a flower garden in the front and a large vegetable garden in the back. Both my grandmothers had vegetable gardens, My maternal grandfather would come to our house every spring from as far back as I can remember and double dig my mother’s garden. I loved to help him. He’d work all day with a digging fork, a shovel and a hoe in cowboy boots and a ten-gallon cowboy hat. He would completely crumble the soil and shape the beds and furrows perfectly. I know now he was dog tired but never let on to me. It is one of my greatest childhood memories. I think he’d be very proud of my lifestyle choice. My paternal grandparents had a massive garden from which they fed a huge extended family and many friends and neighbors from. My grandmother used to say “The front door is always open. Anybody can come in here and eat!” She meant that literally and I saw it practiced on several occasions. It is a creed I live by now. ‘Course nowadays, nobody is going to knock on our door and ask for a plate of food. Their neighborhood had fruit trees tucked in corner lots and scattered across several yards, it wasn’t until I was an adult that I learned my grandfather had planted all the trees. 2. Where did you grow up? How did that affect your relationship to food and raising crops? I grew up in a small “city” in the absolute center of Oklahoma called Guthrie. However, we traveled to “the country” alot when I was a kid, visiting many smaller towns to see family on my mom’s side of the family, mostly a huge 1600-acre homestead with a long and storied history. It was managed by 2 maternal great aunts (one of was completely blind). They kept it old school out there. No running water. No indoor toilet. (It wasn’t until last year I fully understood why) They canned, smoked or otherwise preserved everything they could. They had a root cellar. They had a smoke house. They kept 2 ponds stocked with catfish, perch and bass. Dozens of chickens. Pigs, goats and a few head of cattle. 3. 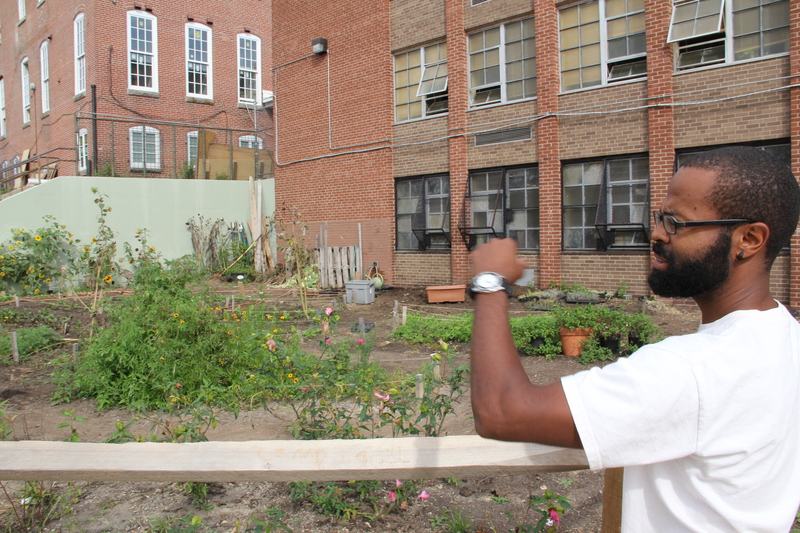 How did you get into urban farming in Baltimore? What was the process? Farming has always been a practice I was intrigued by. I’ve always had the same level interest about farming as I had for cooking. The only difference is it’s much easier to start cooking than it is to start farming. You need a lot more than a knife to start farming. When we moved to Baltimore in October of 2005, I was really excited about having some land to really garden on. Sadly, the yard of the house we moved into was severely shaded. I grew alot of greens back there but that’s about it. I started eyeing a bevy of vacant lots across the street from the house and asking questions of the local neighborhood organization. That next spring I learned about the Open Society Institute’s Community Fellowship and decided to create a garden education program using the lots. I wasn’t accepted for a fellowship but through the process learned of the city’s Adopt-A-Lot program. I adopted the lot and quickly had enough food to feed more than just my family. The next season I created a small CSA program for friends, neighbors and family. That went as well as to be expected with no refrigeration and no plan for the excesses. After a couple of years at it, I thought “I wonder if I could sell any of this to any restaurants”. So I just started asking other farmers if that were possible. They all encouraged it and many gave suggestions for what to grow. I then began to peddle around the city to different restaurants. That same year I went to market with Real Foods Farm twice a week and was just so excited to be selling vegetables. It’s just developed very organically from simple, humble beginnings. Everything has just fallen into place at a really ripe time. I never expected to be considered an “urban farmer”, honestly I can’t stand the term. I just want to make a decent living by growing delicious and interesting food sustainably, eat it and see it eaten and enjoyed by others. 4. When did you found Five Seeds? What is it all about? Where are you located? Where do you market? Quiet as kept, the original name of the enterprise was “Four Seeds Farm.” Only a few people know that, mainly early CSA customers and restaurant buyers. Obviously the number refers to my children. The word “seed” has a bit of a double or maybe even triple meaning. Seeds literally. Seeds of knowledge=self-determination. I think there are 4 errr..5 basic concepts of knowledge that shifts the paradigm in one’s self. And the use of the term seeds by those of the hip hop generation/5 percenters to refer to children. I’m a hip hop head! Growing damn good food in a away that gives back to the earth and the folks on it is what it’s all about. I’ve been growing food commercially since 2007. I established a corporation and trade name last spring. The farm is a multi-plot operations. 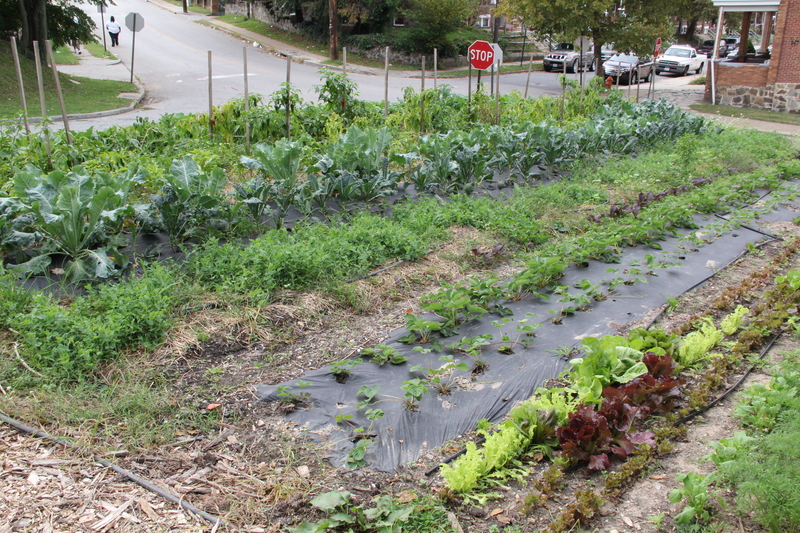 Since ’07, we were an urban farm. Last year, we operated up to 3 separate sites. My family and I recently just moved to Baltimore County and we’ll be farming 4.5 acres there next year. The city plots will continue to thrive as well through a crew leader. 6. You also practice apiculture, tell us about that experience. A few years back, I decided to take the Central Maryland Beekeepers Association short course. My oldest was 7 at the time and he was really into bees. I thought it was a good idea to gain a better understanding of pollination and beneficial insects. The class was extremely informative and inspiring. We bought 2 nucs at the end of the class and I’ve been expanding the apiary ever since. 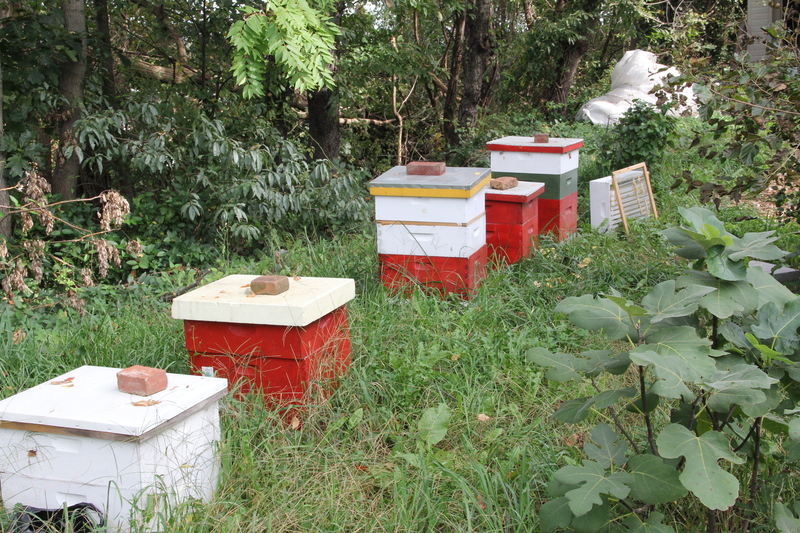 There is a bottomless market for local honey. The start-up is expensive. I don’t like being stung enough to stop farming and just keep bees though. 7. You also do work in Baltimore schools, could you talk more about that? The easiest way to answer that is by describing myself as a food educator. To provide a little more detail; I am employed at the Baltimore Montessori Public Charter School in Baltimore City. 80% of my children attend the school and I am a founding staff member. I along with massive amounts of administrative support, lots of volunteer hours, Americorps volunteers and a great staff of one; built a fantastically gutsy, innovative and downright awesome food education program and outdoor space. 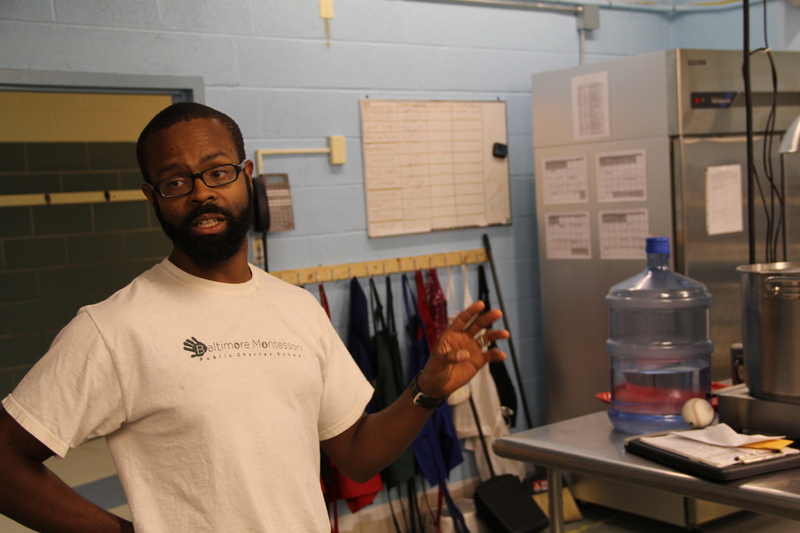 The kitchen program uses locally (Chesapeake Bay) grown fruits and vegetables. 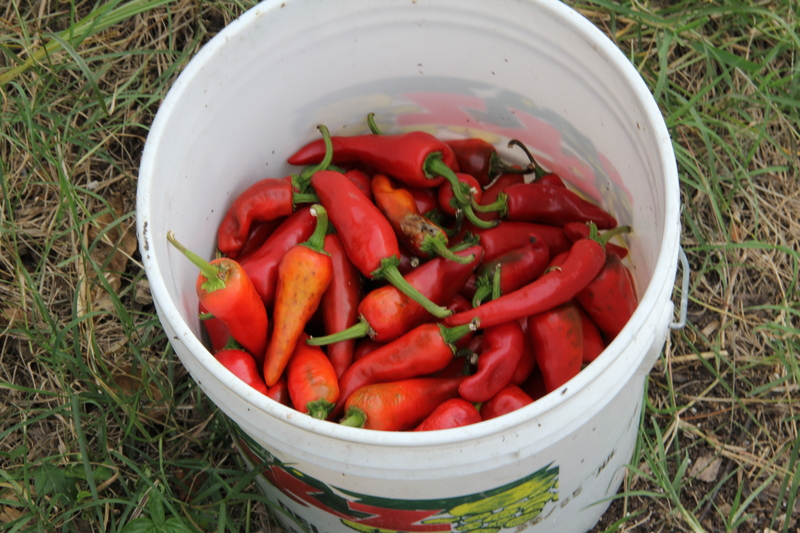 We do some small scale of food preservation; freezing, pickling and canning. 12 elementary aged students prepare a hearty “snack” for the rest of their peers employing advanced cooking techniques. We use alot of adult and collegiate volunteers. The kids make the majority of the food from scratch including stocks, sauces and dressings. They do all the processing from washing to cutting and clean up. They hate cutting onions, though! It’s really amazing. They then serve it to their classrooms family style and everybody’s happy! The greenspace is another animal unto itself but includes a fairly large fruit orchard (30 trees or so), a couple small fruit groves, composting, vermi-composting, a bio-retention swale, a large vegetable garden, a container garden, some native perennial and pollinator plantings, a chicken yard, a natural playspace and bee hives. 8. What are some challenges with urban farming? Space, water, soil health & fertility and security are the biggest four. I guess in some ways they aren’t that much different than the challenges of any other farmer. Things just manifest differently. 9. Could you talk about your relationship with Woodberry Kitchen and other restaurants? I can’t talk about my relationship with Woodberry Kitchen (WK) without first mentioning that Spike Gjerde is one of the great minds of this time & region. He doesn’t get enough credit for his creativity, generosity, inventiveness, intelligence, commitments and energy. His staff is amazing and driven and experts on master-track at what they do. I really can’t even compare Woodberry Kitchen to other restaurants that I sell to. They ain’t even in the same league The comparison would be unfair to all parties involved. I think what allows me to work so closely with Woodberry Kitchen is our common philosophies, paradigms and psychoses. I’m often told, (and it’s probably even more often thought) as Spike is as well that I’m “crazy” for building a local food system, for educating kids about seasonal & local eating, for letting kids use 8-inch chef’s knives, for advocating for a healthy and accessible food system, for wanting to be a farmer. We are kindred spirits. Our work parallels. The quintessential “chef & farmer” pair. I was made known of WK by another farmer who has been an inspiration to me. I asked him a ton of questions about selling to restaurants, “what would be “easy” to grow & sell in the Baltimore market?” He named two items: Matt’s Wild Cherry tomatoes and Fish peppers. About 3 months later, I introduced myself to Spike while I was doing some food education classes for kids in a summer program. When I told him I was growing Fish peppers he went wild, literally right in front of me. It was hilarious actually! I thought I was the only person that was loud 7 boisterous in public. 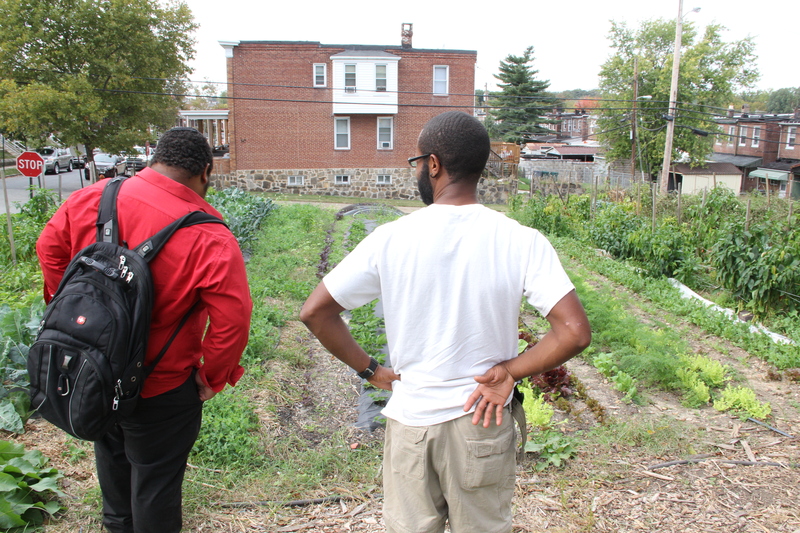 A week later, he and some of his staff came out to my little patch of ground in east Baltimore and asked dozens of questions about me, the history of the farm/site, my practices, varieties & my family which I really respected. I got neighbors, friends and family who knew/know what I was trying to do and never so much as asked how are things. This big time chef that i had just me took time out of his day to come see my 5000 square feet. I was flabbergasted. It was an amazing 3 hours. We talked and really connected. After the conversation, he looked at me very calmly (secretly between you and me, I remember standing there thinking: he’s about to say “…this is really nice but we’ve got someone else growing Fish peppers”) and says “we’ll take all of it.” Of course, I was overjoyed but kept my cool and said “Great” very plainly. Then he replied with “no, I mean all of it.” At that point, I’m sure I made the most ridiculous face and remember being utterly speechless (which does not happen often). I have no idea what I said after that but I started selling vegetables to the restaurant that week. That exchange not only formed what is developing into a fantastic relationship with an extraordinary person and exemplary institution. But also, wiped away alot of fear I had about farming and gave me the confidence to be what I wanted. It was an formidable moment. I’ve continued to talk with him and his chefs on a weekly basis regarding what they want and quantities. I probably spend more time at the restaurant than any of their other farmers, I don’t know for sure but I’d be willing to bet good money. They have a wish list of specific varieties that they are looking for and everyone is well educated about food. They sit down with all of their farmers early in the year before the season starts and discuss who’s growing what and how much. In the city, I’m at a great advantage to other farmers by being so close, at the height of the season it is not uncommon for me to deliver two to three times a week. That being said, I do sell to other restaurants but more & more it’s feels like I’m cheating on a really cool girlfriend. We have this great relationship, common interests & ambitions and she’s always said “you can hang out with other women if you like” but when I do I feel like I’m taking something from her, from our relationship. Needless to say; I’m well on my way to being a Woodberry Kitchen-only farmer. I have some really great restaurant/chef clients. Other restaurants buy sporadically and use the produce as a feature, not a base. I’ve gone into kitchens and seen my salad mix in the same container with some California lettuce or the varieties mislabeled. 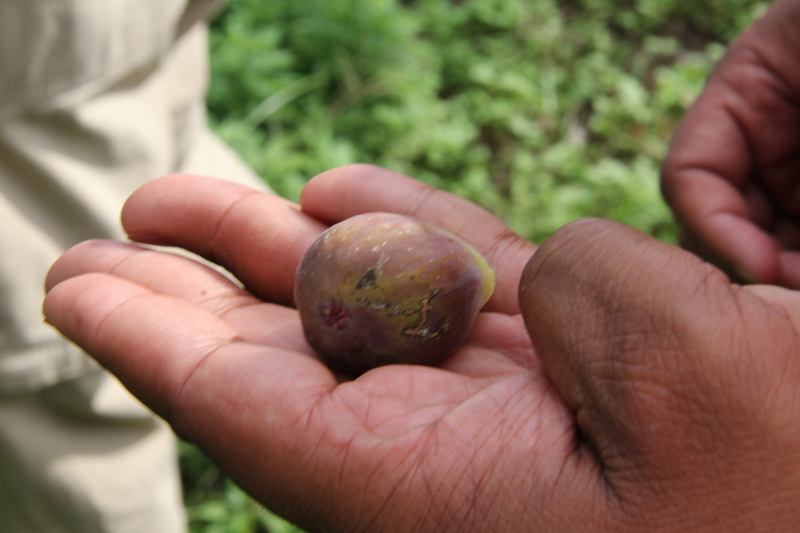 Other restaurants say they buy Five Seeds Farm produce or honey and haven’t bought anything from us in months. I have to work twice as hard to sell vegetables at other restaurants. I suppose from a business standpoint, the farmer should sell to whoever is buying to make a profit but when your motivation is more than that I’m not sure if just sales can clear it all. 10. Why is what you’re trying to do important? That’s a tough question. The list of “whys” gets longer everyday. For one thing; I hope I’m past the “trying” point. There is no question this is very difficult and the timing would probably never be perfect to do what I’m doing. The motivations definitely add fuel to the flame. I want my wife, children, family & friends to be proud of me and their role in supporting agriculture in general. I think it is important for a plethora of reasons that Black farmers not completely die out and continue to be represented as well as be a part of the conversation and progress in the food system. I believe in self-sufficiency. I believe in homesteading. I want to be an inspiration to other people, children, Black children, Black boys to other career paths. It is important that I’m a successful business owner. It is important that I maintain and play a significant role in food history, Black food culture, agricultural history & my family history. One of the most important “whys” are 2 great aunts of mine that maintained a homestead that was sustainable, beautiful, rich with knowledge & history (much of which I failed miserably in attaining and retaining what little I gained) in Henryetta, OK. That place was home to my grandmother, my mother and many others. They are the only farmers I know in my family. I do it for them. 11. What do you hope the future holds? My future holds a healthy, happy marriage and family that operates a super-diversified, organic, sustainable farm & apiary in coordination with the environment. My future holds successful business enterprises and a high quality of life. The future holds more farmers and more people that respect and love and support them. The future holds good food for all people. Right here is the perfect webpage for anybody who wishes to understand this topic. You realize so much its almost tough to argue with you (not that I really will need to…HaHa). You definitely put a fresh spin on a subject that’s been written about for years. Excellent stuff, just wonderful! Good Afternoon, I think this is a fabulous thing you are doing in this community. I am interested in finding out how we The Big Bean Theory can order your fresh vegetables for my soups and bean based foods. The BBT is a small business we sell mostly at the different farmers market. I just closed my store in Owings Mills and we are relocating and moving this July in the Mt. Vernon area. Please let me know how we can meet and talk about purchasing your amazing vegetables.